We ask that you familiarize yourself with your deducible status. You may also want to contact your insurance company to see if your prescribed items are a covered benefit. We would love to have your feedback of our servces after your visit. 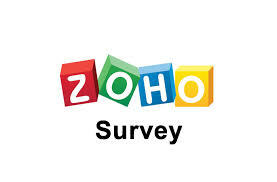 To access our confidential survey, please click on the Zoho survey image. Thank you!! We will gladly check and file insurance for you. If you wish to file the insurance yourself, we will provide you with the proper paperwork to do so. We ask that you familiarize yourself with your deducible status. You may also want to contact your insurance company to see if your prescribed items are a covered benefit. As a policy of Palmetto Pedorthic Care, we are unable to accept payments over time. Mike Tambling, C.Ped, O.S.T., Certified Master Bootfitter. Mike has been fabricating custom foot orthotics for over twenty years. He is a Certified Master Bootfitter which means he custom fits ski boots as well as helping medically in the pedorthic field. Mike's specialties include casting, fabrication and fitting of the foot orthosis. Mike has been a certified pedorthist since 1999. In his spare time, Mike is an avid snow skier and all around handyman. Mike attends Calvary Springs Community Church. Richard has been a pedorthist since 1999. His specialties include casting, fabrication and fitting of the orthosis. Richard is an active member of Radius Church in Lexington South Carolina. Richard is very active in community outreach which includes various building projects, elderly care and community lawn care just to name a few. In his spare time, Richard enjoys playing with his two children as well as various sports.